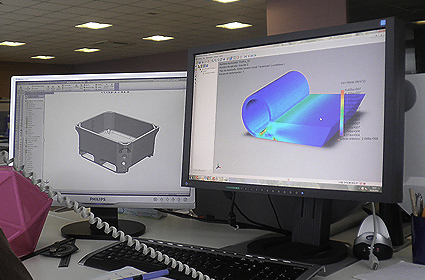 At Rotogal we develop, design and manufacture plastic products by Rotomoulding or Rotational moulding. We are one of the few Rotomoulding companies in Spain and we export our products all over the world, and in the last few years we have positioned ourselves as one of the most active companies in the market by increasing our exporting volume. Do you want to be our customer? 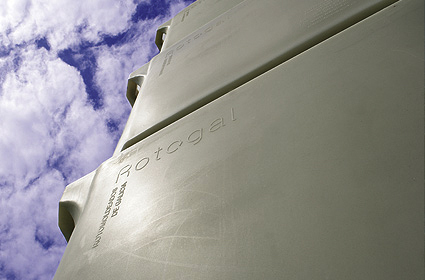 Rotogal is a pioneer and leader offering Rotomoulding services to order. We offer an exclusive service, Custom Moulding. This consists in the development of products to order by the customer. We work hand in hand to find the best solutions for your order, studying the problems which may arise, to design a product in its entirety, creating scale models and trials to ensure that when the product leaves the mould it meets the requirements and the highest levels of quality. In Rotogal we manufacture plastic products applying the latest Rotomoulding technology and using only materials of the highest quality throughout the whole process. All this is carried out in a single place, without the need to rely on external suppliers or imports. We design and manufacture in our installations with our own infrastructure from the smallest piece to the largest. We offer all the process stages necessary to manufacture the products required by our customers and we offer the best services for product development. 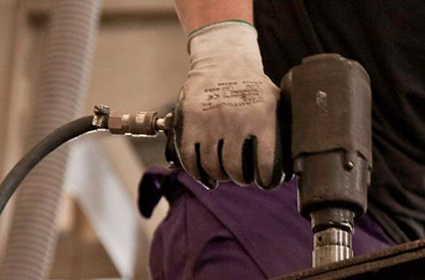 We have developed additional services unique within the market, such as the rental of products to cover the occasional need of our customer’s, a repair service, technical assistance, rotomoulding to order (Custom Moulding), etc.